I was born on June 27, 1964 in Lafayette, Louisiana as the ninth child of Laura Bell Shillow (Joseph) and Fred Shillow, Sr. (both deceased). I am the proud valedictorian of the Class of 1982 of W.O. Boston High School in Lake Charles, Louisiana. Although our beloved school has since closed my PANTHER PRIDE lives on. I attended Southern University in Baton Rouge, Louisiana on an Engineering Scholarship and eventually moved back to my hometown to attend McNeese State University in the summer of 1985. In February 1988, I relocated to Greensboro, North Carolina after being offered an opportunity to manage a fine dining establishment under the ownership of Berzha Consultants. It was there in April 1988 that I met the lady that was to become my wife, Laurie Landis. 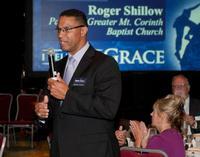 We were married in Jonesboro, Georgia on November 16, 1991 by Pastor Fred Shillow, Jr. and have been dating ever since. We are blessed to be the parents of Victoria Isabella Shillow and Alex Michael Shillow, Sr., as well as the proud grandparents of Layla, Landon, Andrae and Alex, Jr. I was an honors graduate in May 2011 in Grace School of Theology's inaugural graduation class (www.GSOT.org) and also currently serve as a member of their Board of Advisors. I have been employed with Sitel Corporation since September 2001 and have been privileged to serve the company in several capacities, i.e. Site Director, Regional Vice President of Operations, Vice President of Recruiting for North America and am currently the Vice President of Account Management with Sitel focused specifically on the Best Buy account. Maximize technology to evangelize the sinner, equip the saved, edify and encourage the saint through the POWER of the HOLY SPIRIT to the GLORY of our GREAT GOD! I have reached a point in my walk with Christ that I am absolutely certain that with God "Nothing shall be impossible!" Therefore, the kingdom impact of the Greater Mt. 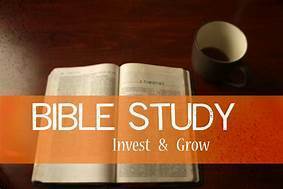 Corinth Missionary Baptist Church to the Kountze and surrounding area should be obvious as the Holy Spirit provides direction and supernatural power. I am truly thankful that God has chosen me to be used for His Divine Glory at such a time as this. TO GOD BE THE GLORY! Rev. Moffett has been a member of Mt. Corinth for 14+ years. Favorite scripture: Proverbs 3:5-6 "Trust in the Lord with all thine heart; and lean not unto thine own understanding. In all thy ways acknowledge Him. and He will direct thy paths." Rev. Collins has been a member of Mt. Corinth for 7 yrs. His favorite thing about being a Christian is he has more fun now than he ever did in the world. Favorite scripture: Isaiah 61:1-3 " The Spirit of the Lord is upon Me, because the Lord has anointed Me to preach good good tidings to the poor; He has sent Me to heal the brokenhearted, to proclaim liberty to the captives, and the opening of the prison to those who are bound;" "To proclaim the acceptable year of the Lord, and the day of vengeance of our God; to comfort all who mourn, " "To console those who mourn in Zion, to give them beauty for ashes, the oil of joy for mourning, the garment of praise for the spirit of heaviness; that they may be called trees of righteousness, the planting of the Lord, that He may be glorified." 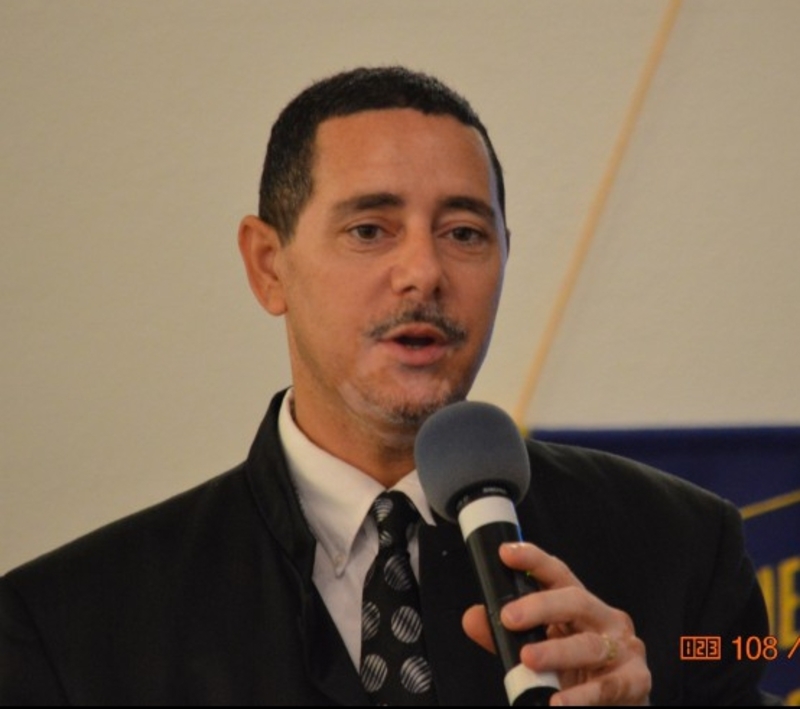 Reverend Tawun Mitchell recently joined our congregation in October 2013. In this very short time span, his willingness to serve God has become very evident as he has assumed the role as Leader of the Youth Ministry. He has also taken on the responsibility of the Sidedoor Ministry and the Media Ministry. Rev. Mitchell says " To me the good thing about being a Christian is knowing that God favors me with His Grace and His Mercy. To know that even in my imperfections there is a Grace that will keep, and a Mercy that protects me!" Favorite scripture: Matthew 6:34 "Therefore do not worry about tomorrow, for tomorrow will worry about its own things. Sufficient for the day is its own trouble." Deacon Orsot has been a member of Mt. Corinth for 13+ years. 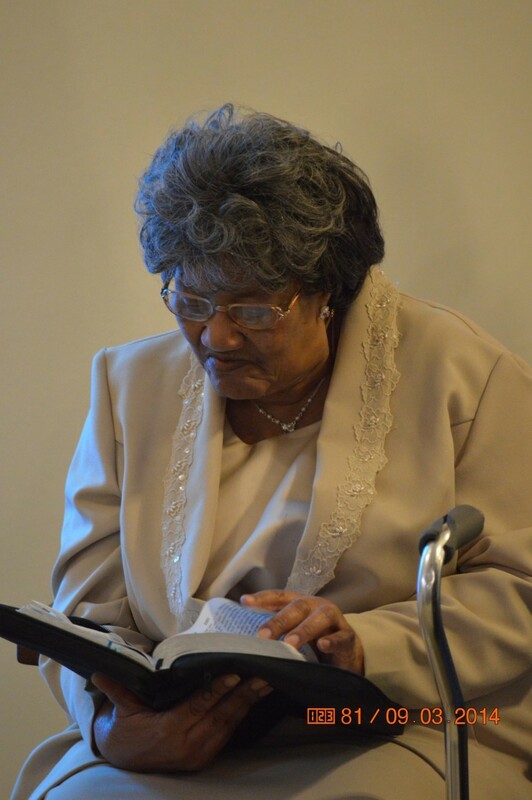 Favorite scripture: Psalms 90:1-2 "Lord, You have been our dwelling place in all generations." " Before the mountains were brought forth, Or ever You had formed the earth and the world, Even from everlasting to everlasting, You are God." 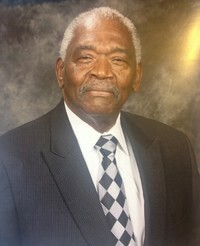 Deacon Hancock has been a member of Mt. Corinth for 39 years. Favorite scripture: Joshua 24:15 "And if it seems evil to you to serve the Lord, choose for yourselves this day whom you will serve, whether the gods which your fathers served that were on the other side of the River, or the gods of the Amorites, in whose land you dwell. But as for me and my house, we will serve the Lord." Deacon Williams has been a member of Mt. Corinth for 46 years. Favorite scripture: 1 Corinthians 12 in its entirety. 12 - 1 Now concerning spiritual gifts, brethren, I do not want you to be ignorant: 2 You know that[a] you were Gentiles, carried away to these dumb idols, however you were led. 3 Therefore I make known to you that no one speaking by the Spirit of God calls Jesus accursed, and no one can say that Jesus is Lord except by the Holy Spirit. 12 For as the body is one and has many members, but all the members of that one body, being many, are one body, so also is Christ. 13 For by one Spirit we were all baptized into one body—whether Jews or Greeks, whether slaves or free—and have all been made to drink into[c] one Spirit. 14 For in fact the body is not one member but many. 27 Now you are the body of Christ, and members individually. 28 And God has appointed these in the church: first apostles, second prophets, third teachers, after that miracles, then gifts of healings, helps, administrations, varieties of tongues. 29 Are all apostles? Are all prophets? Are all teachers? Are all workers of miracles? 30 Do all have gifts of healings? Do all speak with tongues? Do all interpret? 31 But earnestly desire the best[d] gifts. And yet I show you a more excellent way. Mother King has been a member of Mt. Corinth for 63 years. She joined at the age of 14 and has taken an active role in various ministries since joining to include a 20+ yr. stint as choir president. She currently serves as the Sr. Choir Chaplin. Favorite scripture: Isaiah 38 in its entirety. 4 And the word of the Lord came to Isaiah, saying, 5 “Go and tell Hezekiah, ‘Thus says the Lord, the God of David your father: “I have heard your prayer, I have seen your tears; surely I will add to your days fifteen years. 6 I will deliver you and this city from the hand of the king of Assyria, and I will defend this city.”’ 7 And this is the sign to you from the Lord, that the Lord will do this thing which He has spoken: 8 “Behold, I will bring the shadow on the sundial, which has gone down with the sun on the sundial of Ahaz, ten degrees backward.” So the sun returned ten degrees on the dial by which it had gone down. 11 I said, “I shall not see Yah, The Lord in the land of the living; I shall observe man no more among the inhabitants of the world. 12 My life span is gone, Taken from me like a shepherd’s tent; I have cut off my life like a weaver. He cuts me off from the loom; From day until night You make an end of me. 13 I have considered until morning— Like a lion, So He breaks all my bones; From day until night You make an end of me. 14 Like a crane or a swallow, so I chattered; I mourned like a dove; My eyes fail from looking upward. O Lord, I am oppressed; Undertake for me! 15 “What shall I say? He has both spoken to me, And He Himself has done it. I shall walk carefully all my years In the bitterness of my soul. 16 O Lord, by these things men live; And in all these things is the life of my spirit; So You will restore me and make me live. 17 Indeed it was for my own peace That I had great bitterness; But You have lovingly delivered my soul from the pit of corruption, For You have cast all my sins behind Your back. 18 For Sheol cannot thank You, Death cannot praise You; Those who go down to the pit cannot hope for Your truth. 19 The living, the living man, he shall praise You, As I do this day; The father shall make known Your truth to the children.